Would You Like to Smell my Strobus? I don’t wear cologne. 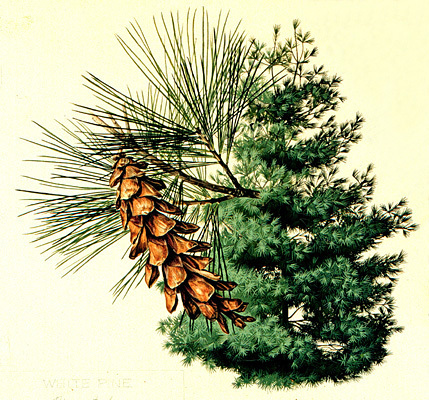 But I might start if I could buy cologne that smelled like fresh-cut Eastern white pine (Pinus strobus) or American white oak (Quercus alba). However, Katy, my 13-year-old, thinks l’eau du alba smells like Starburst candy. Others report that the oaks smell like urine. So either I’m going to attract young girls or hobos while I’m sporting that scent. In any case, if I ever do come out with my own line of wood-smelling cologne, I know what I’ll call it: Studley. This entry was posted in Personal Favorites. Bookmark the permalink. 33 Responses to Would You Like to Smell my Strobus? You need to checkout the “Man Candles”, specifically “2×4”. And for what it’s worth, my favorite lignin-based scent is ash. Do you really want people saying: Geeze, something smells like ash. Most people would say I smelled like wood, and only the people that mattered would know the difference. Of course I smell like wood almost everyday anyway, so I guess I’m saving a ton of money. Look at me… Saving the mo-ney! I always ask how do they know what that smell is like? Smell alot of that, do you? I stumbled upon this AMAZING scent while staying at the Mandarin Oriental in Singapore – they have the soaps in the public restrooms. As soon as I got home I purchased a bunch for me and a bunch for friends. No matter what kind of day I am having, a sniff of my hands after washing or moisturizing with Quercus makes me smile. It is not overtly masculine or feminine, it just smells like, well it smells like happiness on a beautiful spring day. Try it, you will fall in love, but out your local store, and then order more online! Just shred it, we’re on the honor system here. You could make a mix of essential oils. Pinus strobus, Juniperus virginiana, Cedrus atlantica, Black spruce, Abies balsamea, Santalum album, Boswellia carterii and the like. But you’ll smell like a fancy spa. I get comments all the time from people when I go out in public after sawing EWP on the mill all day. I rarely smell it anymore, but people seem to really like it. As long as I don’t smell like a populus species! Instead of hobos, more likely stray dogs! My vote is for Port Orford Cedar which is decidedly different from “aromatic” cedar, and is yet, very aromatic. Ditto. It’s like Potpourri for the uncastrated. Balsam Fir is my favorite. We had one in the front yard a the old house and I always liked to pick off a few needles and rub them in my hands. I’ve run across piss oak before and it does smell terrible. Best used for Mother In Law Spoons. I’m partial to fresh cut sassafras. Though it is not as strong as pine. I used to run into a lot of Alaskan yellow cedar in old fishing boats and have often thought I’d like my coffin made from it, primarily because I like the smell of it so much. I like Port Orford scent also, but mostly because it has become such a rare wood; I love taking a shaving off some suspect recycled plank and discovering, through its unmistakable kerosene scent, that I have hit upon a piece of Port Orford Cedar. Expect to be using your nose a lot while residing in your coffin? Ha, I hope not; I suspect I might stink to high heaven. When I worked for Home Depot I had an attractive young woman tell me she loved the smell inside the store. Not sure which part she liked. My own lovely bride likes the smell of freshly cut wood, which is why my shop is in the house. My mother-in-law doesn’t, much to the dismay of my father-in-law. His is in the garage. Not sure on attracting hamsters, but cedar will keep the moths away. I use pine shavings for the rodents, cedar is not good for them. I think this is SO much funnier than The History of Wood! I’m partial to white ash, it reminds me of my first real project. I have to say fresh Rosemary… maybe not a tree, but certainly ‘woody’. On occasion, I do restrain myself. And I love me some bog oak. Looks like a fantastic project!